The ideologist of the project is a businessman who has many years of experience of proven successful management of medium and large companies and understands the needs of real business. As a result, Virtonomics, as a business development tool, has already been tested and honed on a number of real successful companies. Virtonomics basically has no linear scenario, allowing the player or his coach to determine their own goals and strategies in the simulation, organically build in the gameplay almost any business case. This makes it possible for HR directors or corporate training centers to flexibly use the Virtonomics platform, constructing from its “cubes” any business games and trainings for business-relevant tasks and scenarios. 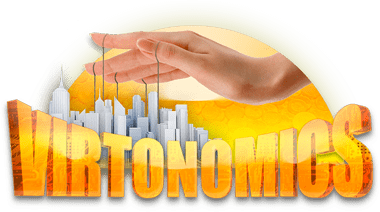 Top-managers Virtonomics makes it possible to test in the simulator their ideas and market strategies before realizing them in real life, and also use Virtonomics as a testing ground and a platform for holding strategic sessions. Virtonomics allows you to test strategies and hypotheses at thousands of qualified audiences, obtaining a representative feedback on all your actions produced in the simulation. The game is conducted in a step-by-step online mode, which allows you to conduct trainings and business games at the same time for a large number of employees, without the need to collect them all in one place. This quality makes Virtonomics a particularly attractive tool for large geographically dispersed companies with many divisions and a wide geography. 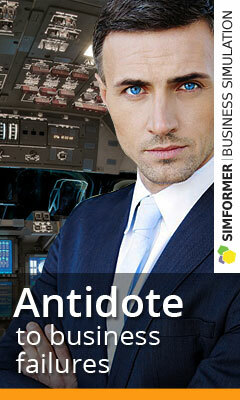 Business simulation Virtonomics today does not have analogues in the world for the scale and depth of the development of business processes, the power of the mathematical apparatus, analytical tools, the number of industries, goods and services presented in the game process.